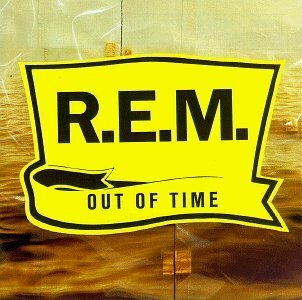 This album is the most straight-forward, poppy, simplistic and emphatic album that R.E.M ever wrote – it is delightful. I am particularly attached to it, this being the first R.E.M album I ever heard, and among the first 50 albums I ever heard. There goes objectivity – or not – such a thing as objectivity in music doesn’t exist whatever Pitchfork or Rolling Stones might try to tell you- yes, my feelings are colored by my past association but what use is music if not to color your feelings. As I noted, I am comfortable with this album – its like my bed in my old room – I know every twist and turn – every nook and cranny – I’ve had time to grow up with these songs in my head. I could’ve regaled you with my multiple interpretations of “Losing My Religion” but unfortunately have forgotten all of them but I still love the video and the song – Michael Stipe is in fine form as usual, he sounds as vulnerable and human as ever. Apart from the interminably long Low most of the songs are good, and at the time this album ushered in a new era for R.E.M – 60’s pop-rock era updated for the 90’s. An album for contented, happy people – or for people who want to feel that way – this one has been my stalwart companion through the years. Recommended Tracks – Losing My Religion, Half a World Away (covered later by Oasis), Country Feedback, Near Wild Heaven. Tags: 1991, Baba T, Country Feedback, memories, Music, Music Review, Music Reviews, nostalgia, Out of Time, Pop, R.E.M, Rock, sounds about right, TDSR. Bookmark the permalink.